The first approach is to seek out non-ring options. That’s the avenue we take as you’ll see below. We came up with many great ways to symbolize your commitment without sealing the deal with exchanging wedding bands. The other approach is to seek out non-traditional wedding band options, as in, non-gold band or platinum band options. We don’t list them here because our first inclination was to put together a list of non-ring options. Here they are… in no particular order. There are many different options when it comes to getting a tattoo with your partner instead of a wedding ring. It is actually one of the most popular alternatives, especially for couples who get tattoos around their ring finger where the wedding ring would have been. Another choice is to get a tattoo of the partner’s name, the wedding date, and/or a phrase from the vows. The most popular locations for this is the chest and back. Another popular alternative, picking out a frame for the wedding certificate can be a great option for those who prefer not to wear a symbol of their love but would rather display it in their home. There are thousands of different frames and each has their own size, color, and style. Unlike some of the other options, these are extremely easy to find, especially online. However, those that are cheaper quality can be more prone to breaking. Approximate cost: $10 to $100 or more (depends on the materials, if it was handmade, and/or the size). Some people do not like wearing rings, or they are not able to wear them because of work or health conditions. 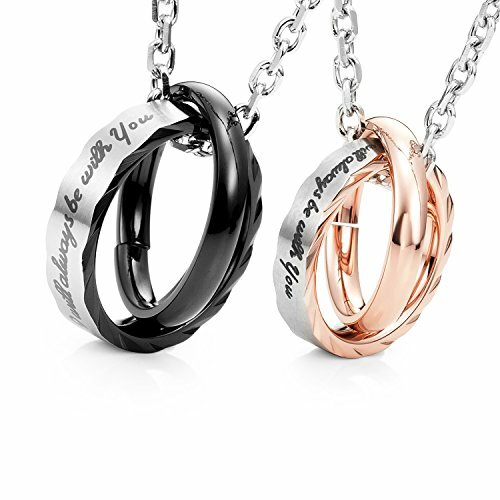 Wearing matching necklaces is a great alternative for those who still wish to wear something that connects them to their loved ones. The material can be something simple like leather or can be something classy like gold or sterling silver; it is all up to the couple. Some people even have custom pendants with the wedding date and/or their partner’s name hanging from the chain. Approximate cost: $20 to $100K+ or more (depends on the materials, customization, and seller). Like matching necklaces, matching bracelets are a good option for people who do not like or cannot wear wedding rings. They can come in a variety of materials like gold, silver, copper, leather, and even other more unique materials like beads and chord with a knot in it which symbolizes an eternal love. Many of these can come with a metal plating that can be engraved with anything from names to dates to a simple message. Approximate cost: $5 to $100K or more (depends on the materials, customization, and seller). This is a less common alternative compared to the other wedding ring alternatives and is more suited towards those who appreciate crystals or gemstones and their spiritual representation. It is somewhat common for those who are spiritual to exchange gemstones and/or crystals that either represents their partner’s characteristics or their own. They may also do this to promote a healthy spiritual connection between each other and to strengthen their marriage bond on a spiritual level rather than a material one. 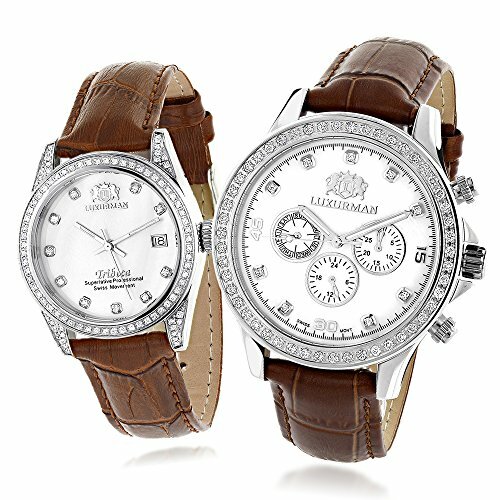 Approximate cost: $1 to $200 (depends heavily on the type of gemstone or crystal, the size, and possibly the purity). Having an engraved wallet card is not only becoming more popular, but it is also becoming easier to find and special order them online. They are roughly the size of a debit/credit card and are usually made from metal. Almost all of these cards are laser cut for a clean and accurate message. Some sellers can create a message on one side while the other side has a black and white picture of the couple, submitted by the buyer. Their purpose is so that the partner can see the photo or read the message whenever they open their wallet at any time while they are away from their soon-to-be spouse. This is an excellent substitute and one of the most romantic for couples who are both wine lovers. The idea behind this alternative is that the couple chooses a special wine, usually the year that they got married or their favorite year, they buy around 5 bottles or more, and every year they each drink a glass of it on their anniversary. As the marriage grows and matures every year, so does the wine. Approximate cost: $100 to $2,000+ (depends heavily on the type, year, and the seller). Here are some examples of wine on Liqourama. 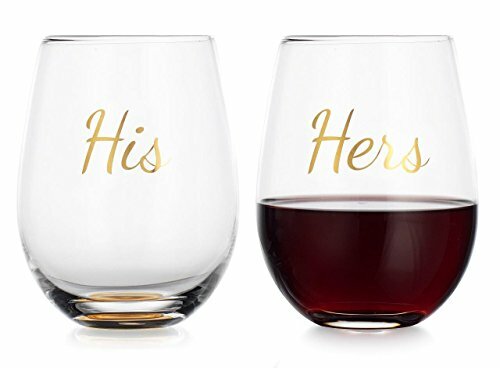 Expanding on the wine idea, you can instead get his and hers wine glasses… or go all out and get both wine and matching wine glasses. The concept behind exchanging trees or picking out and planting a tree together is very similar to the wine alternative. The couple chooses a tree, usually a fruit-bearing one but can also be their partner’s favorite tree if they are exchanging them, and plants it somewhere around their home together. It is meant to symbolize how something new can grow strong and resilient. If they planted a fruit-bearing tree, they can also pick fruit together and prepare it how they would like together. Approximate cost: $10 to $100 (depends on the seller, if being bought online or in stores, the species, and the time of year). Here are some examples of tree saplings on Etsy. In India, it is actually common for a man to give a woman a nose ring instead of a wedding ring. 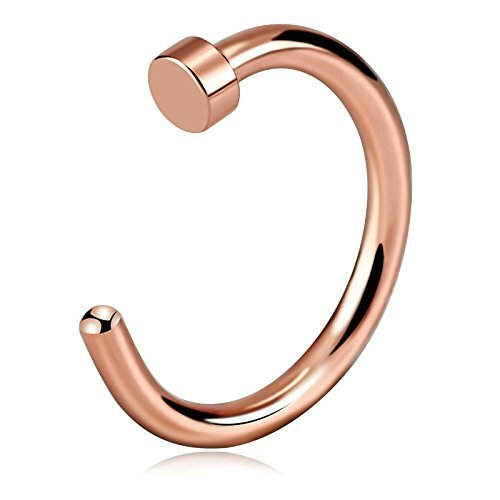 Regardless if you are cultural, this is an alternative for those who like nose rings and do not want to wear a traditional wedding ring, especially for those who are naturally edgier and love to wear daring clothing. They can come in a variety of sizes and style from small and modest to large and fearless. Here are some examples of nose rings on Etsy. Making and/or exchanging photo albums between partners is one of the best alternatives to those who are either photographers, love to take pictures with each other, or couples who are just naturally photogenic. For couples who are exchanging albums, it is a chance for their partner to find an album that portrays their partner’s personality and fill it with photos of their relationship so far. After that, more photos and shared memories can be added to the album as their relationship blossoms. Thanks to Netflix, I’ve had the good fun of binge watching Grey’s Anatomy over the years. In the earlier years the show partly centered around the developing romance between Dr. Meredith Grey and Dr. Derek Shepard. In season 4, they famously married via exchanging Post-it note vows. /center>Post-it note vows could easily take the place of wedding rings. You can even get your own replica at Etsy. If the post-it idea is a bit to copycat for you, take it to the next level with framed vows. Check it out. I’m a watch nut. I love them. I wouldn’t consider myself a collector, but I have nearly 20. Most are smartwatches, but I also appreciate traditional watches. For watch fans, you might opt to exchange watches instead of rings. Less money… maybe: You can definitely buy inexpensive watches, but you can also spend millions. Functional: A ring looks pretty; a watch looks pretty and tells time. Depending on the watch, it may do a whole lot more. Nobody knows: This might be a pro, but more likely a con. Wearing a watch doesn’t signify you’re married because it’s not a typical signifier of matrimony. “The pen is mightier than the sword” is a famous quote and perhaps not particularly apt as a symbol of commitment and love, but it also connotes power and permanence which are attributes you look for. Pens can be engraved, bejeweled or designed with a personal flair in mind. There is no reason exchanging matching pens cannot serve as a fabulous wedding ring substitute. 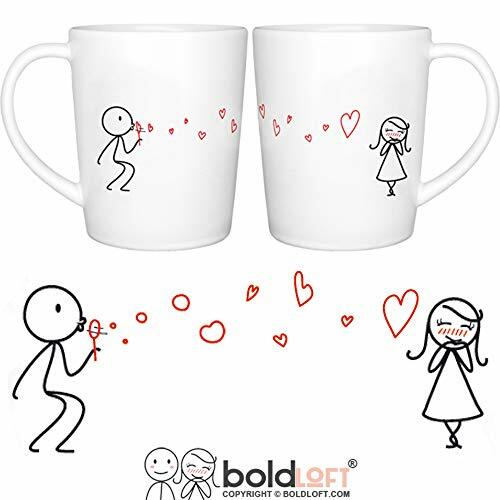 For coffee lovers who don’t want to spend much on the symbol of their commitment or want to do something a little different, there’s always a simple, fun set of his and hers mugs.